Good to Great is an insightful book by Jim Collins recommended by Blair, the MD of Amicus Digital (where I work). 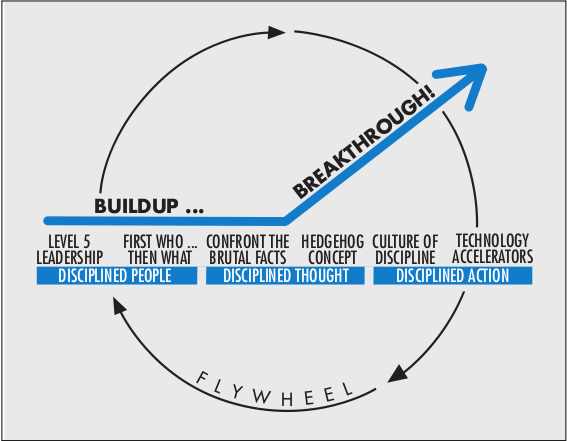 It revolves (pun intended) around the concept of the the Flywheel, and consistent factors in organisations that went from mediocre to consistently great. A paradoxical blend of personal humility and professional will.